Ariel Work Platforms should be only used by trained professionals. Lifts used by persons who are untrained can result in damage to property, bodily harm or even death. Official manufacturer training is available from D&B Rentals. Harnesses and Lanyards should be used at all time with Ariel Work Platforms. 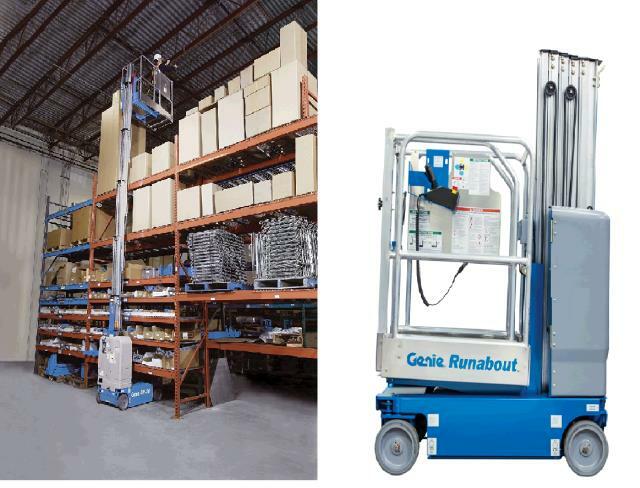 Platform height elevated: 19' 9"
Platform dimensions: 35" x 29.5" - Extended Platform: 55 x 29.5"
Stowed height: 6' 6" - Stowed length: 4' 5"
* Please call us for any questions on our lift runbaout 20 foot rentals in Sterling VA, Herndon VA, Leesburg VA, Reston VA, Chantilly VA, McLean VA and Greater Arlington VA, Alexandria VA and Bethesda MD.